RS485 Board is a tool for developing devices that use RS485 communication. The on-board ADM485 differential line transceiver is suitable for high speed bidirectional data communication on multipoint bus transmission lines. 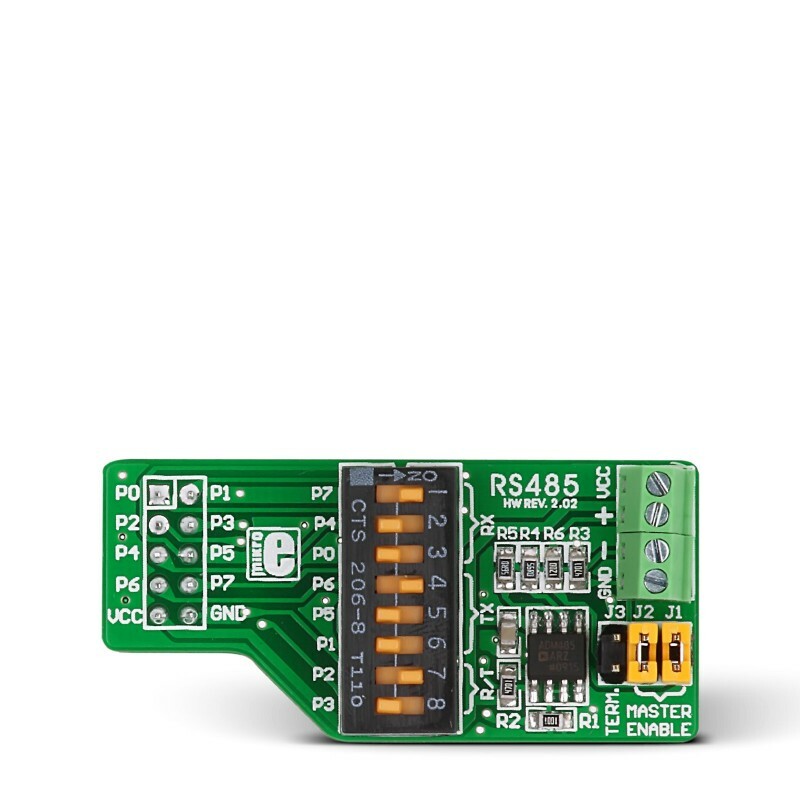 RS485 Board is a tool for developing devices that use RS485 communication. The on-board ADM485 differential line transceiver is suitable for high speed bidirectional data communication on multipoint bus transmission lines. It is designed for balanced data transmission and complies with EIA standards RS-485 and RS-422. This transceiver features a differential line driver and differential line receiver. Both the driver and the receiver can be enabled independently.